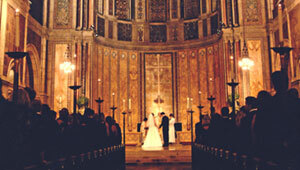 Throughout the centuries the Catholic Church has produced weddings full of deep spirituality and rich symbolism. During a catholic wedding you can expect a prayerful, dignified, sacred liturgy. In Mexican culture marriage is viewed as a deep unbreakable bond between the couple. From this belief system various customs take place, alongside with breathtaking locations. Each of these attributes set the background for a unique spiritual and beautiful wedding ceremony. 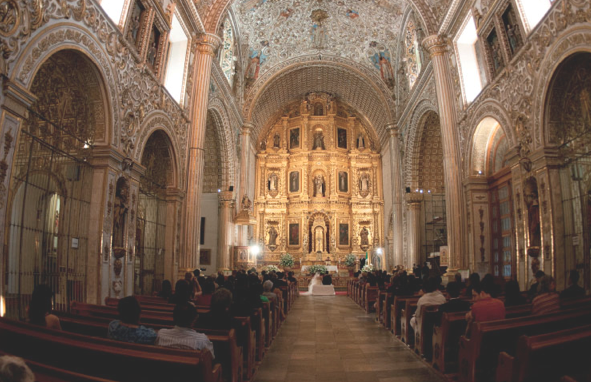 Most Mexican Catholic wedding ceremonies take place during Catholic Mass, and beautiful cultural rituals that accompany the service. The first tradition is the el Lazo, or the Lasso, which is the double rosary or white cord in the shape of a figure eight. 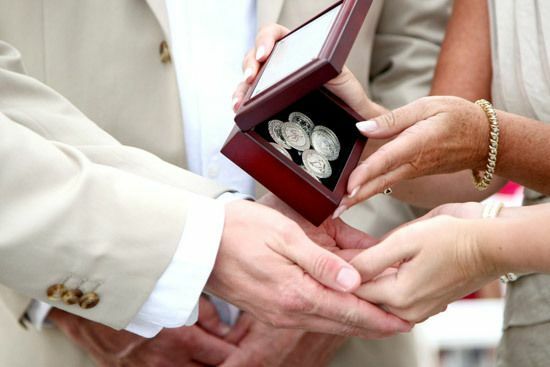 It is placed around the necks of the couple after they have exchanged have exchanged their vows. The symbolism of the lazo is to show the union and protection of marriage. Another custom is the exchanging arras or coins. The groom gives the arras to the bride to represent his commitment and support to her. The bride accepts them, ready to manage the responsibilities of marriage wisely and take care of her groom. 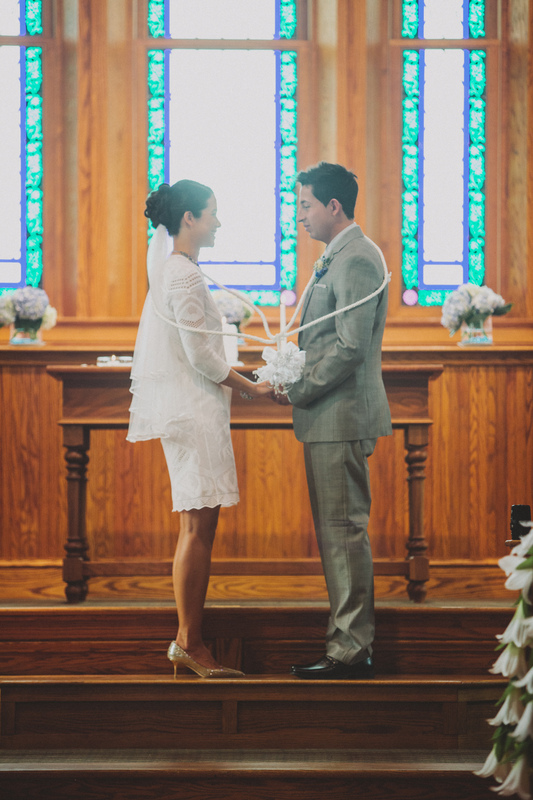 During a Catholic wedding the bride and groom will often present flowers Virgin Mary and prayer for her intercession throughout their marriage. This custom stems from the long devotion to the Virgin of Guadalupe in Mexico. These few traditions are great ways of incorporating the Mexican and Catholic customs to your wedding ceremony!